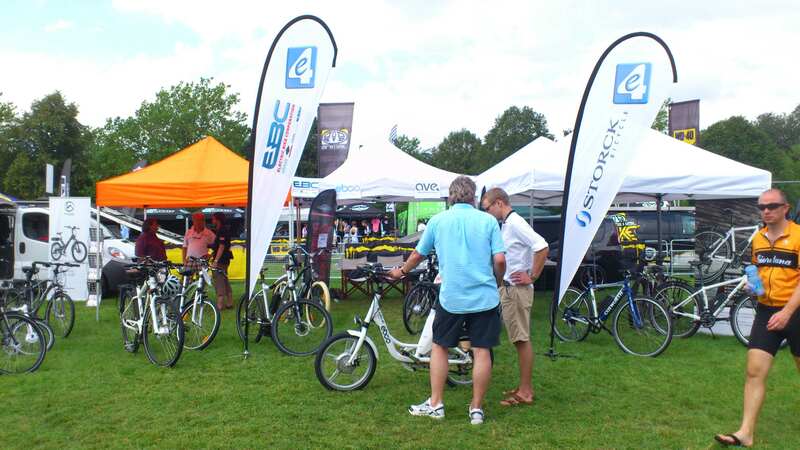 With the 4E electric bike collaboration we travelled to the Blenheim Bike Fest and never have our ebikes been seen in such a prestigious setting. 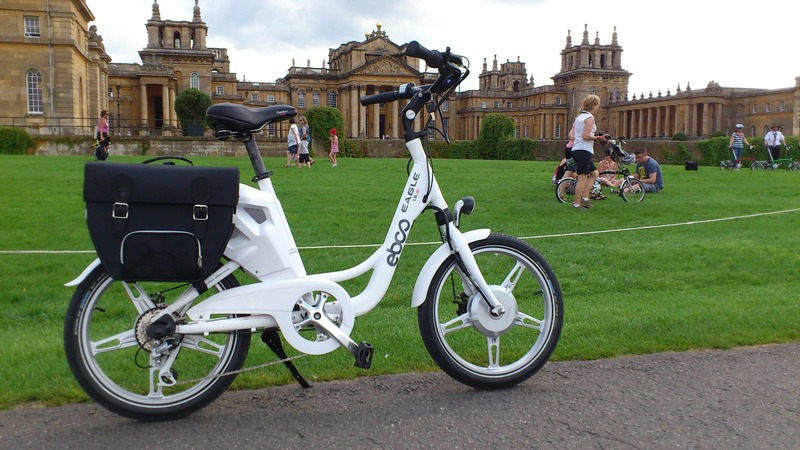 In the grounds of Blenheim Palace on the hottest day of the year, the perfect backdrop for everyone new to ebikes to see what all the fuss is about and to have a go. With temperatures close to 30 oC and humidity around 80% it was a big ask to ride a bike and not break a sweat, but that’s just what the EBCO Eagle can deliver… With it’s super-smooth brushless motor and variable control anyone riding the Eagle was treated to apleasant suprise as they were helped along by the 21st century technology. In fact all our ebikes were in much demand and there were ebike smiles all round as more and more people discovered just how easy and fun it is to ride a modern ebike. If you’re heading to the NEC next month (September Cycle Show) be sure to come by and say hi and have the chance to have a go yourself. We’ll have number of our ebikes available to ride on the purpose built ebike test track. EBC Ltd, the exclusive UK distributor for EBCO (not to mention Solex and Ave) has been shortlisted in the prestigious BikeBiz awards. As a ‘specialist distributor’ EBC Ltd is the only electric bike company mentioned in the awards and we think this is a great pat-on-the-back for all the hard work we’ve been putting in. You are currently browsing the EBCO Electric Bikes blog archives for August, 2012.